A photo of the evening crowd at the NDHC Punk Archaeology un-conference in downtown Fargo, North Dakota. 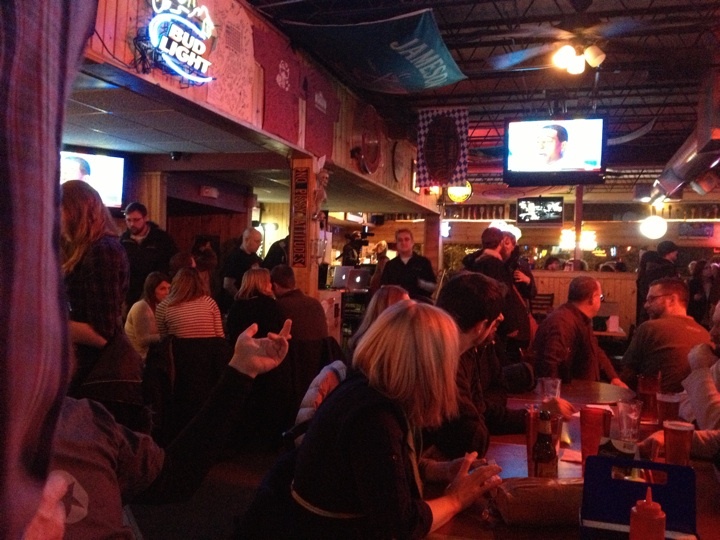 On the evening of February 2nd, 2013, at Sidestreet Grille and Pub in downtown Fargo, North Dakota, the first global Punk Archaeology un-conference unfolded with song, bullhorn, academic rants and discussion, and more bullhorn and song. The event was simple enough: get a group of scholars together in a tavern, get an audio-video system and a pitcher or two of beer, and have these scholars openly talk about and consider why and how “punk” might be part and parcel to the disciplines of archaeology, history, and art history. Scholars from North Dakota State University, the University of North Dakota, Concordia College, and Franklin and Marshall College (Pennsylvania) contributed to the discussion. Considering that a winter storm pummeled central and eastern North Dakota that night — that evening, the North Dakota Department of Transportation shut down I-94 between Bismarck and Dickinson — an approximate audience of 300-to-400 visitors to the 5-hour Punk Archaeology un-conference was considered more than a success. 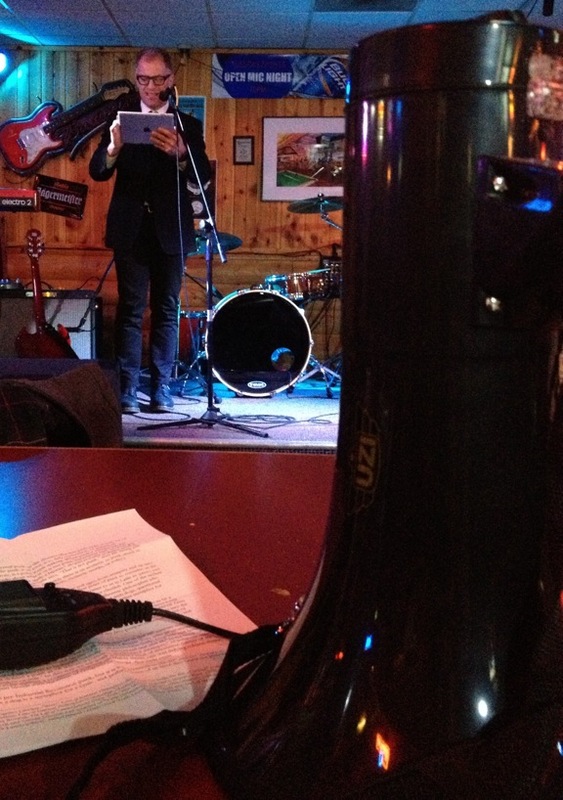 One noticeable difference of conferences compared to un-conferences, at least noted by University of North Dakota’s Bill Caraher, was that at punk archaeology un-conferences, scholars are introduced with a bullhorn, and then they are required to give their talks through the same PA that the punk bands play through. In the weeks that led up to this event, a variety of Red River Valley media outlets contacted me, as they were understandably interested in what was meant by the phrase Punk Archaeology, and also what an “un-conference” entailed. Without me rehashing everything that was said, here are the hyperlinks to the media punk archaeology frenzy. Bob Harris of KFGO 790AM in Fargo-Moorhead interviewed me on the evening of January 21, 2013. The first segment of that interview is linked to here, and the second installment is linked to here. On January 23, Kris Kerzman put together a Punk Archaeology write-up for the The Arts Partnership blog here, Kayleigh Johnson ran a Punk Archaeology story in The High Plains Reader on January 31, 2013 linked to here, and The North Dakota Free Press covered it on February 1, 2013 here. The Fargo Forum covered the story in two different instances, once in a January 23, 2013 blurb here, and John Lamb’s January 29, 2013 write-up of it here. Steve Poitras asked me to chat about this event during his February 2nd, Saturday morning Fargo-Moorhead radio show on 101.9 FM from 7:30-to-8:15AM. So I did that too. This was what the official press covered, and it went over well. Several additional sponsors of Punk Archaeology included Laughing Sun Brewing (Bismarck), Tom Isern’s Center for Heritage Renewal (NDSU), the Cyprus Research Fund (UND), and the Working Group in Digital and New Media at the University of North Dakota. In all, it was an event that brought together North Dakota State University, the University of North Dakota, and the North Dakota Humanities Council, among others. In closing, here his Bill Caraher’s blog-spot recap of Punk Archaeology linked to here. It happened. And it was awesome. And there is light banter about doing it again. This entry was posted on Wednesday, February 20th, 2013 at 3:30 pm	and tagged with North Dakota Humanities Council, Punk Archaeology and posted in Uncategorized. You can follow any responses to this entry through the RSS 2.0 feed.